[quote style=”2"]”We chose to represent Kanye because he is and always has been a trendsetter, and he’s always keeping things unique. I can picture a future where Coinye is used to buy concert tickets, with cryptographically verified virtual tickets, and other ideas I can’t give away just yet.”[/[/quote]p>Conoscendo la proverbiale simpatia di Yeezy, i ragazzi gli hanno offerto anche 100.000 coinye per l’utilizzo del nome, ma al momento mr bernoccolo è ancora silente. 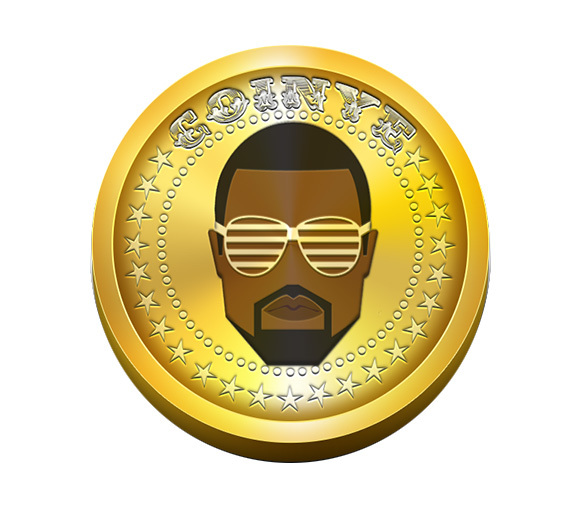 [q[quote style=”2"]�We’d love if Kanye named dropped Coinye. I think he’s gonna love that there’s a currency named in his honor. We don’t want to pay him off to name check us, but it’d be sick if he does so.”[/qu[/quote]Questo il sito.